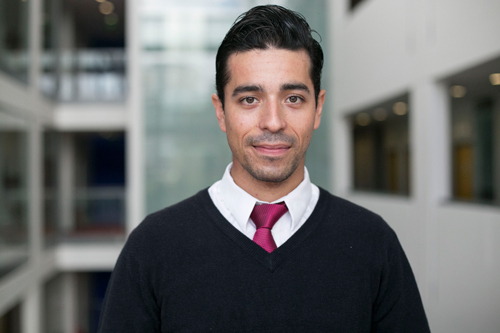 'Ever since moving to the UK I heard great things about City University London's reputation'. Reply’s offer aims at fostering the success of its customers through the introduction of innovation along the whole economic digital chain. With its knowledge of specific solutions, Reply addresses core issues of various sectors. Services include Consulting, System Integration and Digital Services. Ever since moving to the UK I had heard great things about City, University of London, either by ex-students or by study agencies. City has a great reputation, and students usually tend to get a professional job within months of finishing the course. I especially enjoyed the following modules: Data Visualization and Service Oriented Architecture. Being part of the Tamil Society. I was made aware of the society thanks to one of my Sri-Lankan friends, and I met great people and learned a lot about the culture. I even did a catwalk in a traditional clothes! Thanks to the knowledge gained through my course at City - I got the job I have!! City gave me the knowledge required to excel in different IT areas. Service Oriented Architecture was a subject that I particularly enjoyed and I felt it would be something I could work on. Now in my current job I am improving day-by-day in my knowledge around this topic, and it all begun at City.